The Arizona Coyotes have traded forward Mikkel Boedker to the Colorado Avalanche in exchange for Alex Tanguay, Conner Bleackley and Kyle Wood. There is no salary retention in this deal. The 26-year-old winger is in the final year of his contract and will be an unrestricted free agent come this summer, so this looks like a short-term fix for the Avalanche. 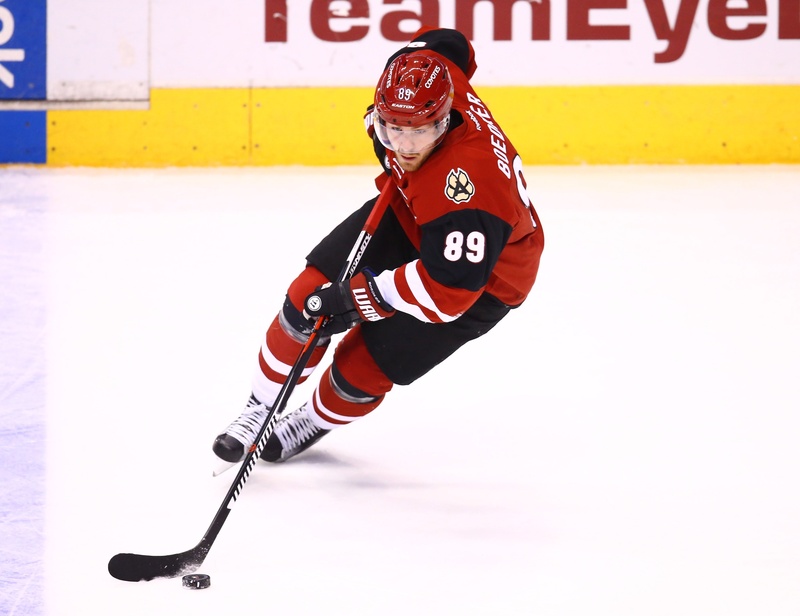 According to reports, Boedker turned down Arizona’s five-year, $27.5 million contract offer and that set general manager Don Maloney to the task of exploring his options. In 62 games this season, Boedker has 39 points. The Danish forward brings tremendous speed to the Avalanche, plus he has solid two-way instincts and can play either wing. He has just one point in the last five games, but a change in scenery should give him a boost. He may take a few more shots on target under Patrick Roy’s system and that should help improve his offensive production. Boedker was drafted eighth overall by the Coyotes in the 2008 NHL Entry Draft. He’s been a solid player for the club and he turned heads in the 2012 Stanley Cup Playoffs when he notched two straight game-winners against the Chicago Blackhawks. In 20 career playoff games, Boedker has nine points. The Colorado Avalanche are currently fifth in the Central Division with a 32-28-4 record. They’re 13 points back of the St. Louis Blues and the post-season is a bit of a long shot, so it should be interesting to see how (or if) Boedker fits in with their long-term plans. With Tanguay, the Coyotes pick up a veteran presence still capable of playing a puck possession game. His point production has slipped overall, but the 36-year-old should still be a worthwhile presence in the desert. Bleackley is a first-round draft pick for Colorado and he brings leadership potential along with two-way skill. He can create chances, but he may not be a long-term fit for the Coyotes. The 20-year-old from High River isn’t the best skater in the world, but he does have a considerable history with the WHL’s Red Deer Rebels. As for Wood, he’s a 19-year-old defenceman from Waterloo. The Avalanche drafted him in the third round of the 2014 NHL Entry Draft and he’s yet to see big league action. From his time with the OHL’s North Bay Battalion, he’s hammered out a considerable presence. He’s tall at 6’4, plus he has some offensive upside that may surprise. The Coyotes are fifth in the Pacific Division with a 27-29-6 record. They traded for Sergei Plotnikov earlier in the day and are a dozen points back on the San Jose Sharks.